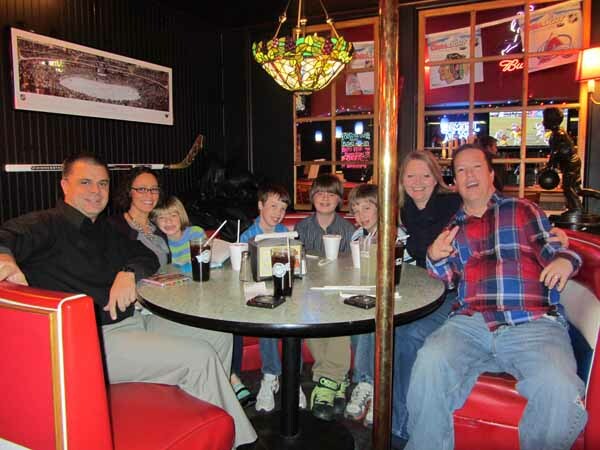 Here we're at Fuddruckers with our old friends, the Zitzewitz Family. Why do they have stripper poles at Fuddruckers? 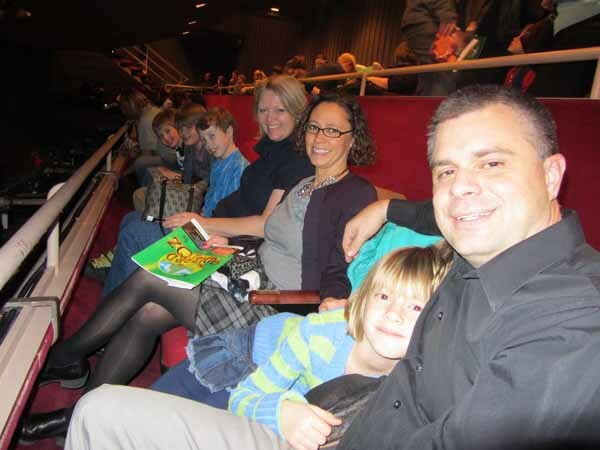 On Friday night, we went to see The Wizard Of Oz at the Minneapolis Children's Theatre Company. 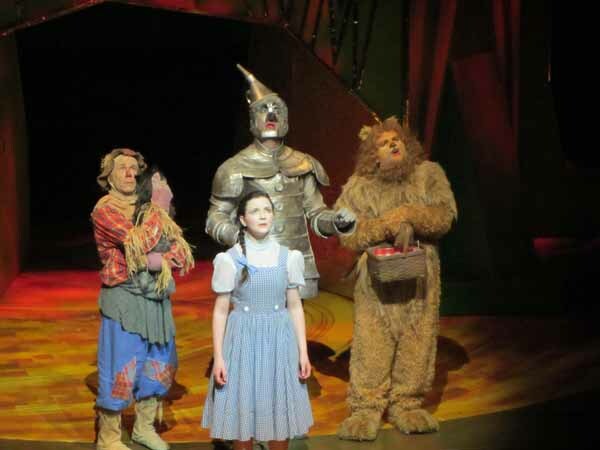 That Dorothy sure does whine a lot. If she just would have kept her dog on a leash, the old lady never would have had the sheriff try to confiscate it in the first place. Then she runs away from home. Then she is nearly killed by a tornado because she's too late to join the responsible people in the storm cellar. Then the rest of the show was all about her screwed-up dream where she meets a bunch of weird creatures and constantly moans about the fact that she wants to go home. I'm not sure why this is playing at the Children's Theatre because the life lessons that are found in it are just awful. 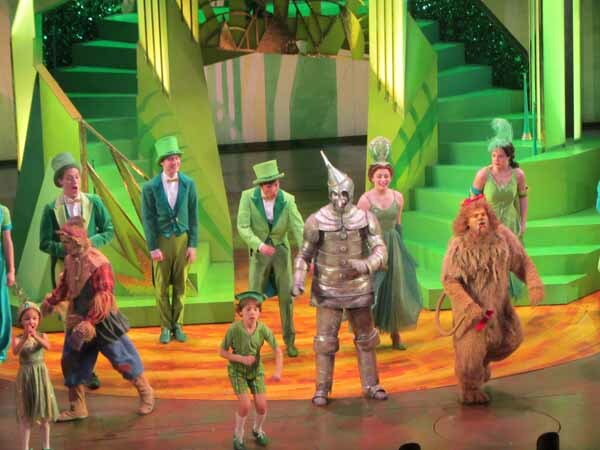 Lions, Tin Men, and Scarecrows talked, sang, and danced. There was a village full of little people, several witches, and a bunch of flying monkeys. Between you and me, I'm thinking that Dorothy needs to lay off the magic mushrooms. Once she does that, she'll probably be able to sleep much more soundly. At least we got to hang out with some fun people. Even if I did make them all nervous by sneaking some photos even when we were clearly told that taking pictures was a No No.